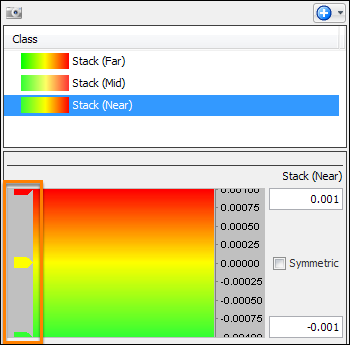 You can edit an existing colourbar and change the colours to enhance the display of data in the views. In the tree, select the class which you want to edit the colourbar. 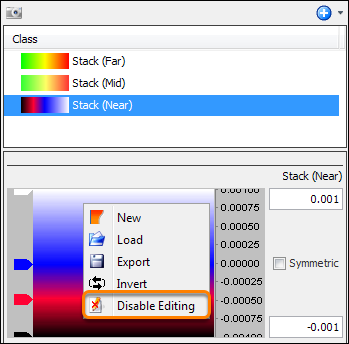 Right-click the colourbar in the Details Panel and click Enable Editing. Double-click the top, middle and bottom gradient pointers to open the colour selection chart. For each pointer, select a colour from the colour selection chart. 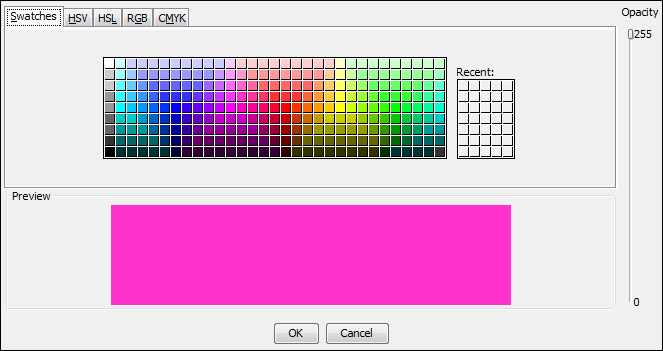 You can select the colour from the Swatch/HSV/HSL/RGB/CMYK colour models to accurately define a colour. Move the Opacity slider to adjust the opacity of the selected colour (see Opacity). Click OK to close the colour selection chart. You can also add new gradient points to the colourbar. Double-click at a desired location in the colourbar and select a colour from the colour selection chart. 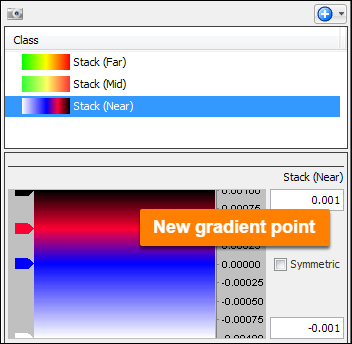 The new gradient point will be inserted in the colourbar at the desired location. Adjust the gradient point by dragging the pointers at the left of the colourbar up or down, or delete the pointers by right-clicking a pointer and click Delete. 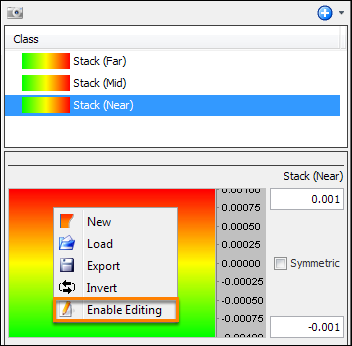 To invert a colourbar, right-click on the colourbar in the Details Panel and click Invert. The colourbar will be inverted as displayed in the example above. When you are done with the editing of the colourbar, right-click in the colourbar and click Disable Editing.